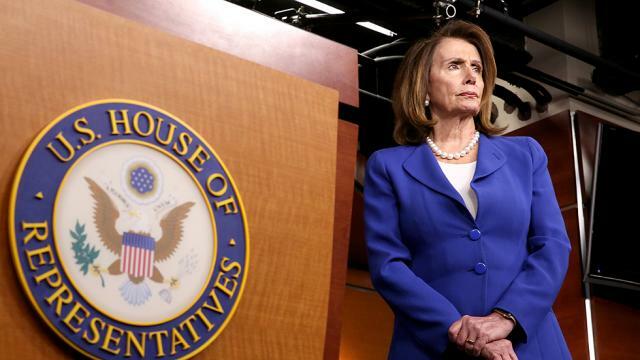 House Minority Leader Nancy Pelosi (Calif.) and other top Democrats are vowing to abide by fiscally hawkish pay-as-you-go rules if they seize the majority next year, rejecting calls from liberals who feel they’d be an impediment to big legislative gains. Rep. Steny Hoyer (D-Md. ), the minority whip, is also endorsing the notion that a Democratic majority should adopt the budget-neutral rules next year. Politically, Republicans will surely bash the Democrats if they pursue expensive government programs without offsets. But the GOP under President Trump has lost the fiscal high ground, having busted budgets themselves, particularly with the enactment of their tax-reform law. The Congressional Budget Office predicts the annual deficit will top $1 trillion by 2020. Rep. Barbara Lee (D-Calif.), a CPC member who ranks among the most liberal lawmakers on Capitol Hill, said Democrats can push an ambitious legislative agenda while also finding the revenue to pick up the tab without piling onto deficits.